Washington (AFP) - Environmental scientists tested a key US river Tuesday for signs of a toxic waste spill from a botched Colorado mine clean-up that prompted a state of emergency in the desert Southwest. 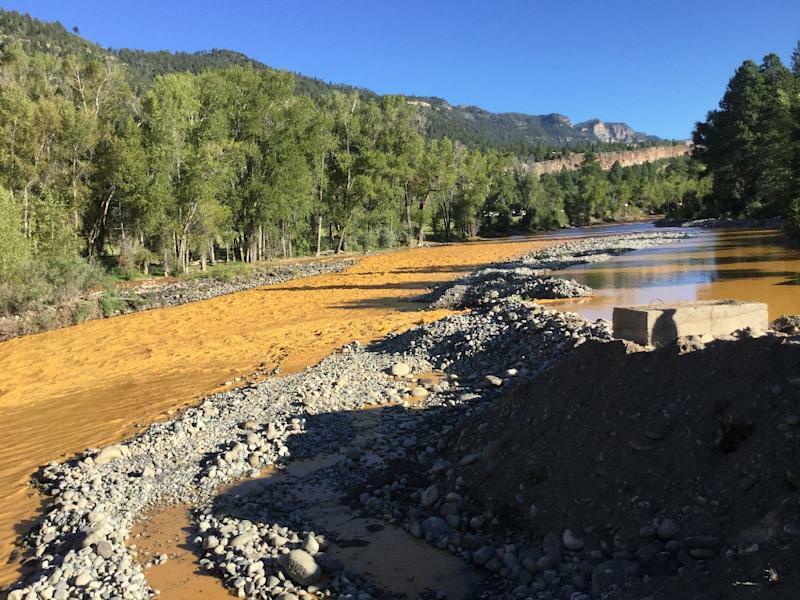 What started as a three-million-gallon (11.4 million liter) orange-hued plume last Wednesday in the swift-moving Animas River dissolved from view as it made its way down the slower San Juan River in New Mexico. 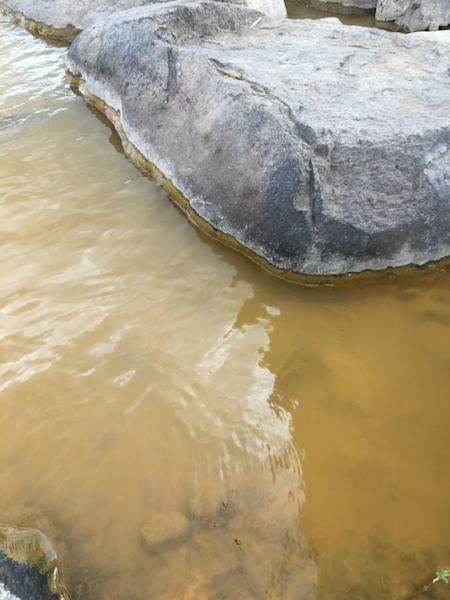 "It's so diluted, you can't really see it," Donna Spangler, a spokeswoman for the Utah Department of Environmental Quality, told AFP by telephone. Intensive water testing is nevertheless underway for signs of such cancer-causing toxins as lead and arsenic, with results expected in a matter of days. The spill prompted states of emergency to be declared in Colorado, New Mexico and the vast Navajo Nation reservation that straddles state lines. Towns along the Animas and San Juan stopped drawing water from the two rivers, and kayakers and rafters were told to stay on land until Monday at the latest. The spill, estimated to be 80 miles (130 kilometers) long, was a major embarrassment for the Environmental Protection Agency (EPA), the federal government agency tasked with combating pollution. It was supervising an attempt to halt a slow leak of toxic waste from the long-abandoned Gold King mine near the Colorado town of Durango when an earth-moving backhoe unleashed a deluge instead. "It pains me to no end that this is happening," said EPA director Gina McCarthy on Tuesday in her first public comments on the spill. "But we're working tirelessly to respond, and we've committed to a full review of exactly what happened to ensure it can never happen again," she said. 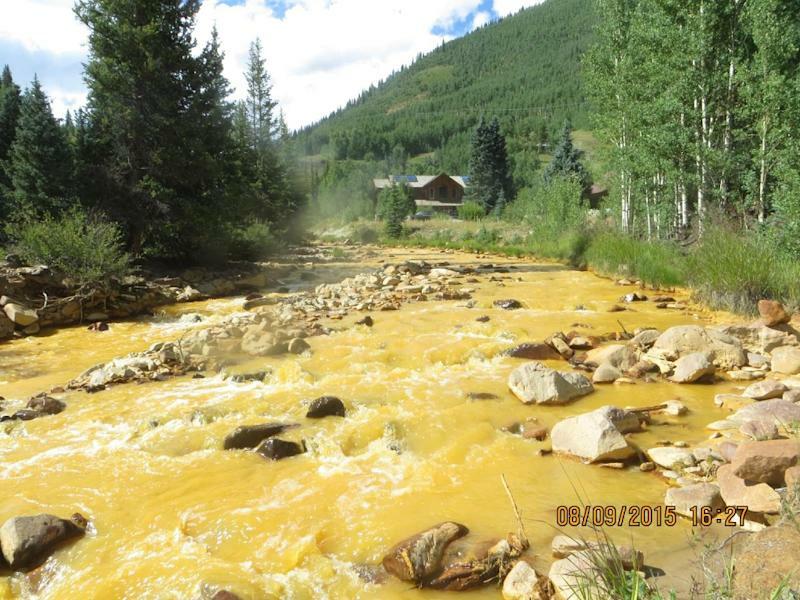 Initially, the EPA said one million gallons had spilled into the Animas, but then revised the figure upwards by three times, arousing local skepticism. "You're lying to everyone about what's going on. You really don't know what's going on," said one angry resident at a Durango town hall meeting. Mayor Tommy Roberts of Farmington, New Mexico, where the Animas joins the San Juan, said it was more than 24 hours before his town was alerted to the spill. "The initial response from the EPA was lacking, to say the least," he told AFP. Zach Frankel, executive director of the non-profit Utah Rivers Council, expected the spill to ultimately enter Lake Powell, a desert reservoir from which Las Vegas gets its water supply. "It's going to be five more days or so before it reaches the lake," Frankel told AFP by telephone from Salt Lake City. From there it would proceed down the Colorado River, through the Grand Canyon, and into Lake Meade, a major source of water for Los Angeles and other parts of drought-stricken southern California. "What it is going to do is increase the background level of carcinogens in the water supply for the residents that depend on this water throughout the Southwest," he said. But there was encouraging news Tuesday in Durango when biologists pulled out a cage full of trout from the Animas and found only one dead fish inside. The cage had been lowered into the river when the surge hit last week, Mayor Deane Brookie said, adding that water quality tests will continue for some time. Describing the look of the river, he told AFP by telephone: "It's no longer Technicolor. It's more like a muddy orange juice."